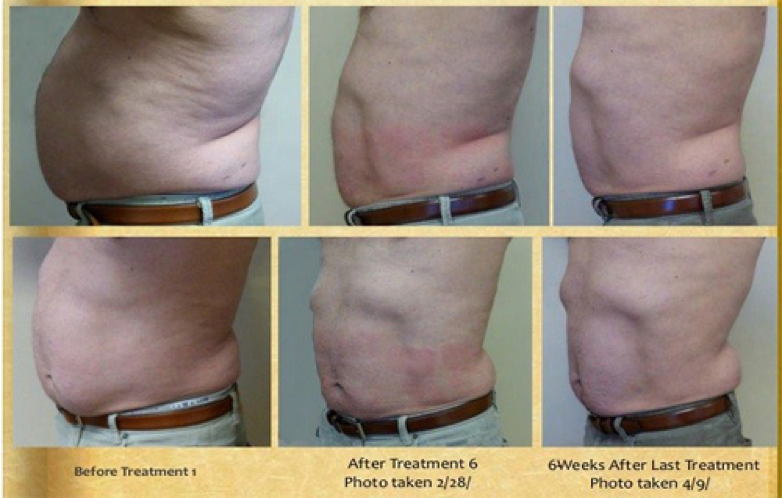 Body Shaping & Contouring | Advanced Laser MedSpa - Michael Salzman, M.D. Enjoy the results of the revolutionary FUTURA FIT™ using powerful ultrasound energy and Transtim stimulation. This non-invasive treatment is comfortable and pain-free. Our program includes your scientific diet assessment and activity program and an FDA approved metabolic testing assessment. You can experience loss of inches in your visits. The length of your treatments can vary (approximately 2 hours) and the duration 6, 8 or even 10 treatments based on your goals. While you can slim, tone and shed with this system, and lose inches on your treatments, we recommend that you follow a moderate eating plan* to enhance your results as well as moderate exercise. There are many plans* to follow. If you are planning to lose inches we recommend you follow a moderate diet to benefit you. If you are intending to maintain an eating style that includes high carbs, sugar, sweets and alcohol, we do not recommend this program for you. Free body analysis with a physician grade composition analyzer. This professional equipment will provide you with a printout of your results – a $75.00 value. This print-out includes body composition, water weight, fat mass, and a target body fat percentage and weight. DO NOT EXPECT treatment benefits if you are gaining weight between treatments. IF WE FIND THAT YOU ARE GAINING WEIGHT DURING OUR EXTENSIVE BODY COMPOSITION MEASUREMENT we may recommend that you not continue treatments. Other options to enhance your inches off for even more visible benefits can be discussed at your consultation. You can get results with or without the eating plan, however, your results will be even more dramatic with the plan. If you choose to enter this part of the Slim, Tone and Shed program, Advanced Laser Medspa will provide you with 1,2 and 3 above free of charge. Each time you come in for a treatment, we will do a body analysis. You are also welcomed to come in once a week for a free body analysis…by appointment. *REMEMBER: Before beginning this or any diet plan or exercise program (including those recommended on this site) we recommend you always check with your family or primary care physician. It is your responsibility to seek the advice of your physician before starting. Recommendations may include a physical, including blood work, EKG, and other health-related exams that will help determine whether you are physically fit enough to begin such an exercise plan and diet.